Come and develop your trading skills further in a real-time setting and make money along the way! Spend each day from 9:30am ET – 12:30pm ET being coached step-by-step through each trade that develops. Learn exactly what needs to set up before actually taking a trade. You also will learn when to step aside and not trade at all. Learn entries, stops, profit objectives, and all the trade management rules that you need to know to trade successfully. Develop the necessary discipline and patience it takes to become a consistently successful trader. 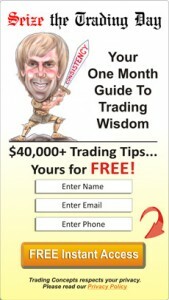 Learn many powerful and relevant trading tips, tricks, and strategies throughout each and every trading day. Learn from powerful & educational trading lessons on a daily basis - continue to learn and grow as a trader each and every day. Get all your questions answered real-time during the day and you will also learn a great deal from other traders' questions. "methods deliver positive results CONSISTENTLY"
"Since joining this room you both have consistently demonstrated that trading methods deliver positive results CONSISTENTLY. This is why I am interested in learning more. Thanks again." "way more educational and interactive participation"
"I've been in 4 different rooms myself, they all have the same thing going; winning trades and losing trades, the only differences are how much educational material is being presented. The TC room offers way more educational and interactive participation from it's members, just sayin’." Spend 2 to 3 Hours a Day & Potentially EARN a Full-Time Income!